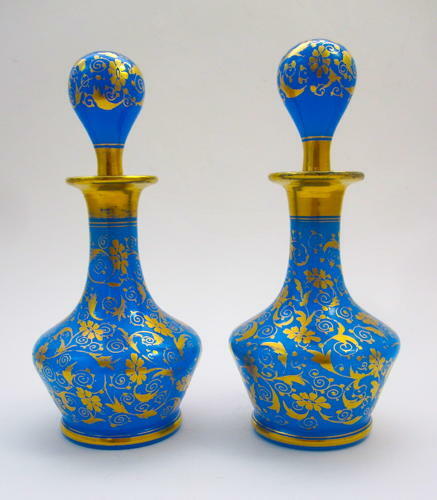 Pair of Antique French 19th Century Blue Opaline Glass Perfume Bottles and Stoppers. Beautifully Gilded with a Solid Gold Band on the Neck and Stoppers. The Main Body and Stoppers Decorated with Gold Enamelled Flowers.